This paper tackles the question of the Waterways in ancient Egyptian military role. It aims at presenting a complete overview of the most important waterways: The Nile River, the Mediterranean Sea and the Red Sea, in an attempt to consolidate its role By analyzing the text sources and track the forms in which it was portrayed in military scenes which will be more beneficent from the dawn of the 19th dynasty and 20th dynasty, since so far there has been no study tackling their usage in military aspects. Hence, this paper tries to fulfill this research gab. The researcher attempts to provide answers for several questions about the effect of the waterways on the military strategy of the New kingdom, and whether all of the waterways had the same role in different stages of the New kingdom, and the extent of their association with the international changes and the surrounding political shifts that took place at this time. This paper covers the period from the 18th to 20th dynasty, it can be divided into three sections:The River Nile, The Mediterranean Sea and The Red Sea. This order is an account to the importance of waterways types that had been used in military. At the end of this paper the writer could conclude that the Nile River played the same importance during New kingdom; as transportation route for soldiers, their equipment and for the tributes and above this it played an important role in propaganda aims. The eastern part of the Mediterranean Sea played an important role especially in the 18th dynasty. During the 19th and 20th dynasties the western part of the Mediterranean Sea involved directly in amphibious battles affected by political changes. One of the most important results was that the representation of waterway inside the military scenes cannot be found before the 19th dynasty. As for the Red Sea, it was used only for trade exchange or in mining expeditions. یتناول هذا البحث استخدام الطرق المائیة فی حروب الدولة الحدیثة. ویهدف إلى ظهار الصورة الکاملة للطرق المائیة سواءا اکانت نهر النیل ، البحر المتوسط، أو البحر الاحمر فی النصوص والمناظر الحربیة فی الدولة الحدیثة، وذلک فی محاولة لتتبع الشکل الذی صُورت علیه ضمن المناظر الحربیة والتی سوف تصبح اکثر نفعا بدایاً من الاسرة التاسعة عشر، ومحاولة تفسیر دورها وتحدید استخداماتها فی المعارک. حیث أنه لا توجد دراسات خاصة شاملة توضح هذه النقاط رغم تغطیتها بشکل جید فی الاستخدامات الاخرى وخاصة التجاریة. ویحاول الباحث الإجابة عن عدة تساؤلات تتمثل فى التعرف على مدى اهمیة الطرق المائیة والادوار التی لعبتها فی الاعداد والتکتیک لمعارک الدولة الحدیثة، وهل کان لکل منهم نفس الدور فی المراحل المختلفة للدولة الحدیثة، ومدى ارتباطهم بالتغیرات الدولیة التی طرأت على الساحة السیاسیة فی ذلک الوقت. فی نهایة هذه الورقة البحثیة، یمکن ان نستنتج أن نهر النیل کان له نفس الأهمیة طوال فترة الدولة الحدیثة. کطریق نقل للجنود ومعداتهم، علاوة على انه لعب دورا هاما فی الدعایة للانتصارات الملکیة. لقد لعب الجزء الشرقی من البحر الأبیض المتوسط دورًا مهمًا خاصة فی الأسرة الثامنة عشر. وخلال الأسرة التاسعة عشر والعشرین ، اصبح الجزء الغربی من البحر الأبیض المتوسط یدخل بشکل مباشر فی المعارک متأثراً بالتغییرات السیاسیة التی طرأت على الساحة. کانت من أهم النتائج التی توصل لها الکاتب انه لا یمکن العثور على منظر لمجرى مائی فی امعارک البحریة قبل الأسرة التاسعة عشرة. أما بالنسبة للبحر الأحمر ، فقد استخدم فقط فی التبادل التجاری أو فی حملات التعدین. - أحمد عبد الحلیم دراز، مصر ولیبیا فیما بین القرن السابع والقرن الرابع ق.م، تاریخ المصریین 174، الهیئة المصریة العامة للکتاب ،2000. - سلیم حسن، مصر القدیمة، الجزء العاشر، تاریخ السودان المقارن الى أوائل عهد بیعنخی، مکتبة الأسرة، القاهرة، 2000. - علاء الدین عبد المحسن شاهین، "الرمزیة التاریخیة للأقواس التسعة فی المصادر المصریة وحتى نهایة الدولة الحدیثة"، المؤرخ المصری، العدد الثامن، 1992، ص35-64. - علاء الدین عبد المحسن شاهین," العلاقات المصریة اللیبیة، فی العصور البرونزیة من الألف الثالث الى نهایة الألف الثانی قبل المیلاد"، حولیات الآداب والعلوم الاجتماعیة، الحولیة 23، 2002-2003. ص 47-105. - علاء الدین عبد المحسن شاهین، "المعارک النهریة فی مصر الفرعونیة إلى نهایة عصر الأنتقال الثانی"، مؤتمر الفیوم الخامس، 2005، ص257 -272. - فاطمة محمد حماد، العلاقات المصریة مع القبائل اللیبیة من خلال المصادر النصیة والأثریة خلال النصف الثانی من الألف الأول، رسالة ماجستیر، (غیر منشورة)، کلیة الآثار جامعة القاهرة، 2015. - Abd El-Maksoud, M. and Valbelle, D. ‘Tell Héboua’, RdÉ 56, (2005), pp.2-33. - Breasted, J., Ancient Records of Egypt, Historical Documents from the earliest times to the Persian conquest, 4vols. Chicago, University of Chicago Press, 1906. - Černy J., Late Ramesside Letters, Fondation Égyptologique Reine Élisabeth, Bruxelles, 1939. - Charles, C., The Third Stela of Kamose, OLA 192, (2010), pp.355-358. - Darnell J., Manassa C., Tutankhamun's Armies: Battle and Conquest During Ancient Egypt's Late 18th dynasty, John Willy & Sons Ins., New Jerssy, 2007. - Du Buisson M., ‘Le décor Asiatique du Couteau de Gebel el-Arak’, BIFAO 68, (1969), pp.63-83. - El-Saady, H., ‘Egypt in Nubia during the Reign of Seti I’, in Ramesside studies; studies dedicated to the memory of K. A. Kitchen, Rutherford Press Limited, Bolton, (2011), pp.433-437. - Emery, E., Archaic Egypt, Pinguin Books, Baltimore, 1961. - --------------, Egypt in Nubia, Hutchinson, London, 1965. - Epigraphic Survey, Reliefs and Inscriptions at Karnak, OIP 107/4, Chicago, 1986. - Faulkner, R., ‘The Wars of Sethos I’, JEA 33, (1947), pp.34-39. - Gaballa, G., ‘Minor War Scene of Ramesses II at Karnak’, JEA 55, (1969), pp.82-88. - ---------------, Narrative in Egyptian Art, Philipp von Zabern, Mainz, 1976. - Gardiner, A., Egyptian Hieratic Texts, J.C. Hinrichs’sche Buchhandlung, Leipzig, 1911. - ---------------,‘The Ancient Military Road between Egypt and Palastine’, JEA 6, (1920), pp. 99-116. - ---------------, The Kadesh Inscriptions of Ramesses II, Griffith Institute, Oxford, 1960. - Gilbert, G., Ancient Egyptian Sea Power and the Origin of Maritime Forces, Sea Power Centre, Canberra, 2008. - Nicolas G., Histoire de l'Égypte Ancienne, Fayard, Paris, 1988. - Habachi, L., The Second Stela of Kamose, ADAIK 8, (1972). - Hall, E., The Pharaoh Smites his Enemies, MÄS 44, (1986). - Hoffmeier, J., ‘The Ramesside Gate at Tell el-Borg’, in Ramesside studies; studies dedicated to the memory of K. A. Kitchen, Bolton, (2011), pp.207-217. - Hosny, H., Der Tod durch Ertrinken, Das Ertrinkrn, im Wasser Unterauchen, als Weg zur Seligkeit, Magister Artium, Tübingen, 2001. - Jeffreys D., ‘Perunefer: at Memphis or Avaris?’ EgArch 28, (2006), pp.36-37. - Kitchen, K., ‘Some New Light on the Asiatic Wars of Ramesses II’, JEA 50, (1964), pp.47-70. - ---------------, Ramesside Inscriptions: Historical and Biographical, 8 vols., Blackwell, Oxford 1969--. - ---------------, Pharaoh Triumphant, The Life and Times of Ramesses II, King of Egypt’,Aris and Phillipes, Warminster, 1982. - ---------------, Ramesside Inscriptions: Translated and Annotated, 4 vols., Blackwell, Oxford, 1993--. - Kuentz, Ch., ‘Deux stèles d'Aménophis II’, BdÉ 10. Le Caire, (1925). - ---------------, La Bataille de Qadech, MIFAO 55, (1928). - Mariette, A., Abydos, II, Temple de Ramsès, Temple d'Osiris, Petit temple de l'ouest, Nécropole, Imprimerie Nationale, Paris, 1880. - Mercer, S., ‘Merenptah's Israel and the Exodux’, Anglican Theological Review 5, (1922-3), pp.96-107. - Miroschedji, P. De, “Egypt and Southern Canaan in the Third Millennium BCE: Uni’s Asiatic Campaigns Revisited,” in Gruber, M., Ahituv, S., Lehmann, G., and Talshir, Z., (eds. ), All the Wisdom of the East: Studies in Near Eastern Archaeology and History, in Honor of Eliezer D. Oren, OBO 255, (2012), pp.273-85. - Montet, P., La Vie Quotidienne en Égypte au Temps de Ramsès, Librairie Hachette, Paris, 1946. - Morenz, L., ‘Power and Status, Ankhtifi the Hero’, Cahiers de Recherches de l’Institute de Papyrologie et d’Égyptologie de Lille 28, (2009), pp.177-192. - Morkot, R., Historical Dictionary of Ancient Egyptian Warfare, Scarecrow Press, Oxford, 2003. - Morris, E., ‘The Architecture of Imperialism’. Probleme der Ägyptologie 22, (2002). - Murnane, W., ‘The Earlier Reign of Ramesses II and his Coregency with Seti I’, JNES 34-3, (1976). pp.153-90. - ---------------, ‘The Road to Kadesh, A Historical Interpretation of the Battle Reliefs of king Seti I at Karnak’, Studies in Ancient Oriental Civilization 42, Chicago, (1985). - Nelson, H., ‘The Naval Battle Pictured at Medinet Habu’, JNES 2, (1943), pp.40-55. - Neska, M., ‘The Sea Peoples as a New Factor in Near Eastern and Egyptian Warfare’, in Proceedings of the third central European Conference of Egyptologists Acta Archaeologica, Institute of Anthropology and Archaeology, Pułtusk, (2009). pp.129-136. - Newberry, P., El Bersheh, I, The Tomb of Tehuti-Hetep, The Egypt Exploration Fund, London, 1895. - Oren, E., ‘Migdol: A new Fortress on the Edge of the Eastern Nile Delta’, BASOR 256, (1984). pp.7-44. - Reineke, W. and Wenig, S., ‘Ägypten und Kusch’. Schriften zur Geschichte und Kultur des Alten Orients 13, (1977). - Reisner, M., ‘Inscribed Monuments from Gebel Barkal, II, The Granite Stela of Thutmosis III’, ZÄS 69/1, (1933), pp.24-39. - Sethe K., Urkunden der 18. Dynastie. IV, J.C. Hinrichs’sche Buchhandlung, Leipzig, 1909. - ---------------, Urkunden des Alten Reichs, J.C. Hinrichs’sche Buchhandlung, Leipzig, 1933. - Säve-Söderbergh, T., The Navy of the Eighteenth Egyptian Dynasty, Lundequistska Bokhandeln, Leipzig, 1946. - Schulman A., ‘The Nubian War of Akhenaton’, BSFE, (1979), pp.299-316. - Smith A., ‘Narrative Methodologies in Ancient Egyptian Art History’, The Military Reliefs of Ramesses II at Luxor,OLA 189, (2011), pp.269-286. - Smith H. and Smith A., ‘A Reconsideration of Kamose Texts’, ZÄS 103, (1976), pp.48-76. 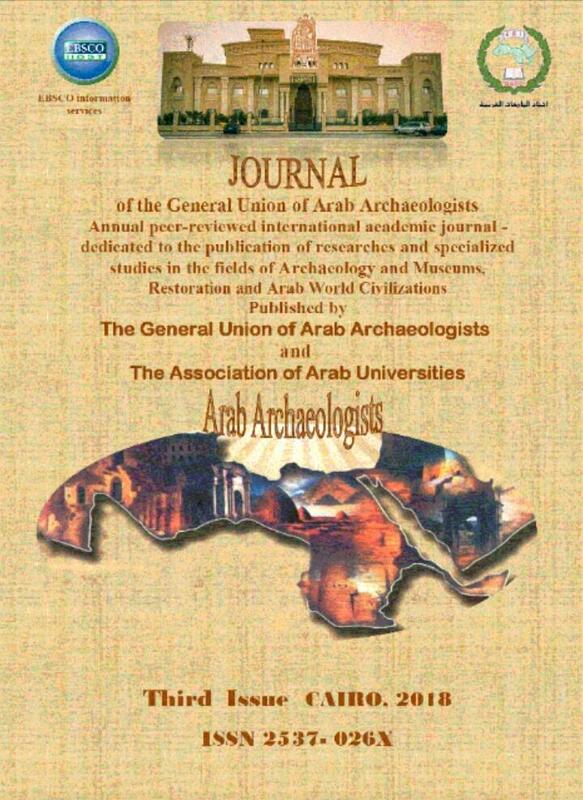 - Snape S., ‘The Excavation of the Liverpool University to Zawiyet Umm el-Rakham, 1994-2001’, ASAE 78, (2004), pp.149-60. - Spalinger A., ‘A New Reference to an Egyptian Campaign of Thutmose III in Asia’, JNES 37/1, (1978), pp.35-41. - ---------------, War in Ancient Egypt, Oxford, Blackwell, 2005. - Thumas, S., ‘Chariots, Cobras and Canaanites from Tell Abqa’. in Ramesside Studies; studies dedicated to the memory of K. A. Kitchen, Rutherford Press Limited, Bolton, (2011), pp.519-531. - Wachsmann, S., ‘Aegeans in the Theban Tombs’, OLA 20, (1987), pp.119–121. - Werner, E., ‘Montu and the Falcon Ships of the Eighteenth Dynasty’, JARCE 23, (1986), pp.107-123. - Yoyotte, J., ‘Les Stéles de Ramsés II a Tanis’, Kemi 10, (1949), pp.47-62. - Yurco, F., ‘Merenptah’s Canaanite Campaign’, JARCE 23, (1986), pp.189-215.